The Optimist Co. was founded with a simple aim: to spread optimism and positive vibes. Life can be challenging and full of set backs, we are constantly surrounded by negativity and voices that stop us from pursuing our dream. But we at Optimist Co. believe that anything is possible if you put your mind to it. We understand how important it is to believe in yourself and to follow your dreams. Therefore, we believe that we can make a difference. We can be that voice that inspires people to do what they love. 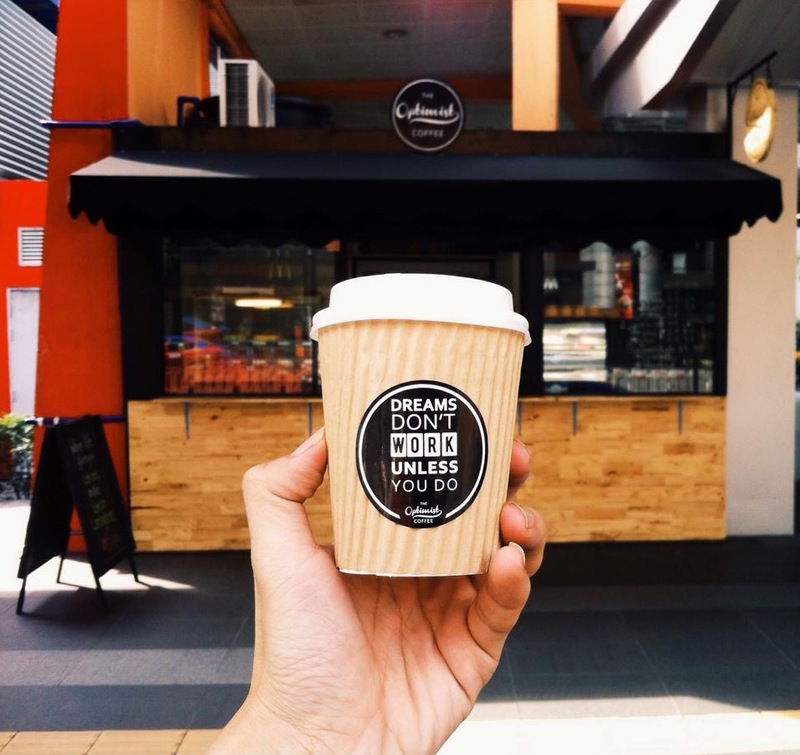 Founded in December 2014 in the heart of downtown Kuala Lumpur, Optimist Coffee serves the best coffee with the best vibes. 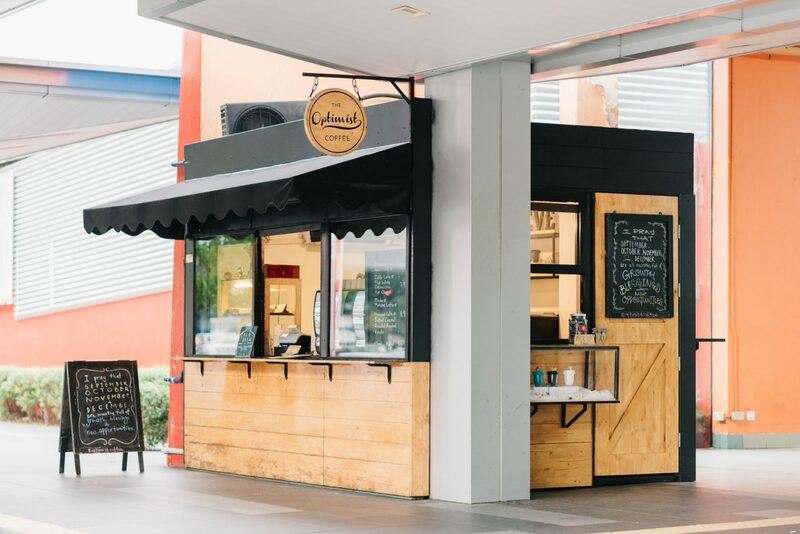 From our small and friendly kiosk outside Ampang Park LRT, we like to think that the service we offer helps spread positivity throughout the neighbourhood. With our daily message on the blackboard and our sticker quotes on every cup of coffee, we foresee Optimist Coffee as helping bring a smile to the faces of our customers. Even if a customer drinks our coffee just once a week- in a year they will have read up to 52 of these positive quotes. If just one of these quotes motivated or inspires them enough to follow their dreams, then we see our work as a success! A world filled with optimism, that is the world that we have imagined.